A charming and hilarious romantic comedy from the author of Husband Hunters. For fans of The Rosie Project and Forgetting Sarah Marshall. Violet is saving money: living on rice and beans and denying herself chocolate eclairs in the name of saving for a home deposit. Once they save enough, she and Michael can buy a house, settle down in the suburbs and live happily ever after. But when Michael does the unthinkable, Violet is forced to rethink her life choices. 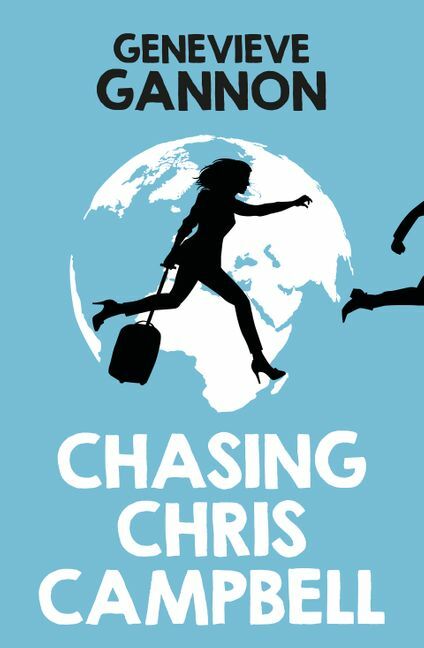 A chance encounter with Chris Campbell (first love, boy-next-door, The One That Got Away) spurs her into travelling to exotic locations she never dreamed she'd explore - Hong Kong, Vietnam, Varanasi - on a quest to catch up with Chris and lead a life of adventure. Armed with hand sanitiser and the encouraging texts of her twin sister Cassandra, will Violet find the true love she's looking for, or will the lure of a quiet and uneventful life back home prove too much to resist? Can she work out what she really wants before she is left with nothing? Genevieve Gannon is a Melbourne-based journalist and author. She wrote stories for music and fashion street press magazines while at university before moving to Canberra to do a journalism cadetship. In 2011 she joined the national news wire, Australian Associated Press, where she covered crime, politics and entertainment. Her work has appeared in most major Australian newspapers including The Age, The Australian and The Daily Telegraph. She currently lives in Melbourne where she is a court reporter. At night she writes romantic comedies.